Auto-clay regular provides a method of removing harmful contamination from vehicle paint finishes, improving its durability and increasing the gloss level of subsequent waxes. auto-clay regular is ideally suited to cars not previously clayed, heavily contaminated or for the removal of overspray. It&apos;s also great for hot summer months or warmer climates. Paint contamination can be felt as a rough or gritty texture on the freshly cleaned paint&apos;s surface. To assess the degree of contamination on you car&apos;s finish simply rub your fingers gently over the freshly washed paint - to magnify the sensation place a piece of cellophane beneath your finger tips and gently rub back and forth - if your paint needs to be clayed you will feel the gritty texture. It is usual to find that horizontal panels such as bonnet roof and boot lid are the most affected. 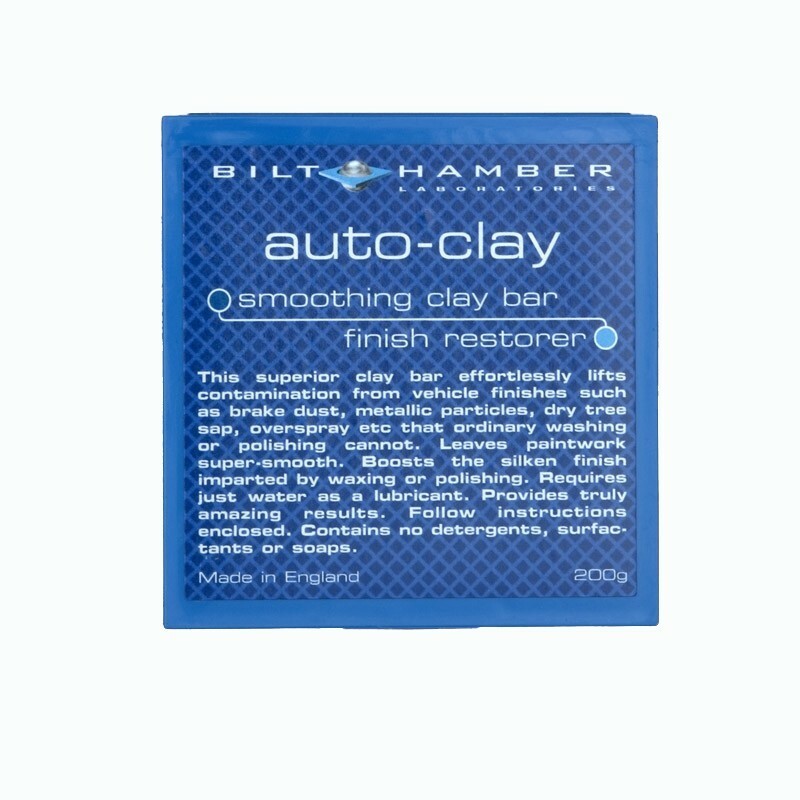 Auto-clay is provided in regular and soft grades. Regular for intensive cleaning of moderate to heavy contamination and / or summer use. Soft clay is designed for more frequent and / or winter use. Both grades contain exactly the same particle size and low moh&apos;s hardness pure mineral filler.